If you can’t tie a knot, tie a lot! Maybe not bad advice for knot tying novices, but if you’ve ever fought to remove a stubborn gnarl after it has held a hefty load, you know there must be a better way. 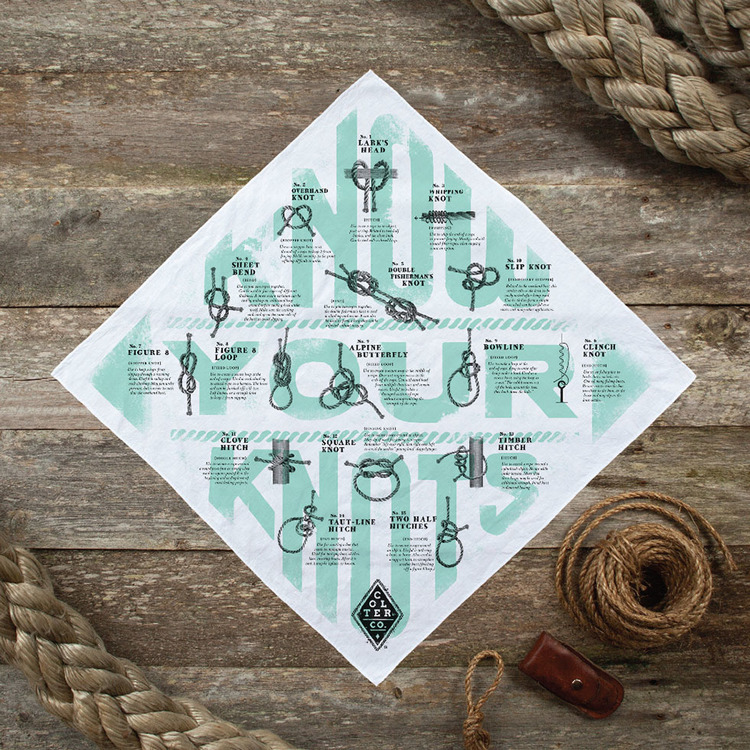 This bandana is pretty clever and gives diagrams for 16 essential outdoors knots and, just as importantly, brief instructions on when to use them. 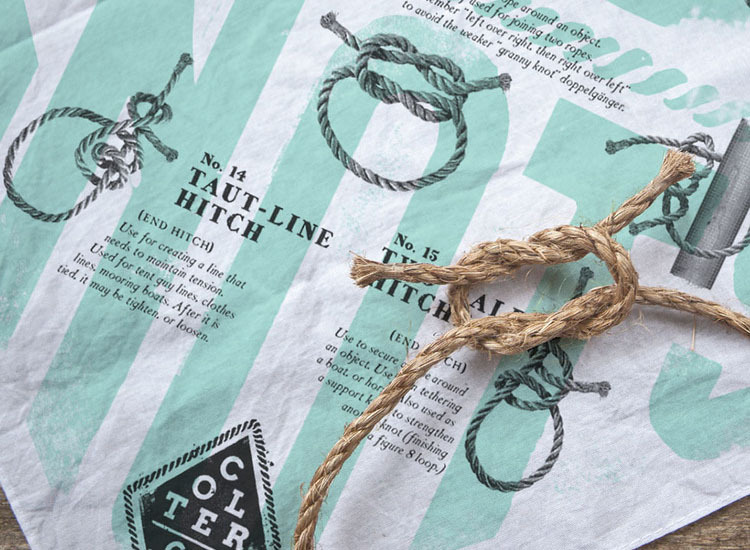 Printed on 100% cotton, the 22” bandana includes instructions for: Lark’s head, overhand knot, whipping knot, sheet bend, double fisherman’s knot, slip knot, figure 8 knot, figure 8 loop, alpine butterfly, bowline, clinch knot, clove hitch, square knot, timber hitch, taut-line hitch, and two half hitches. 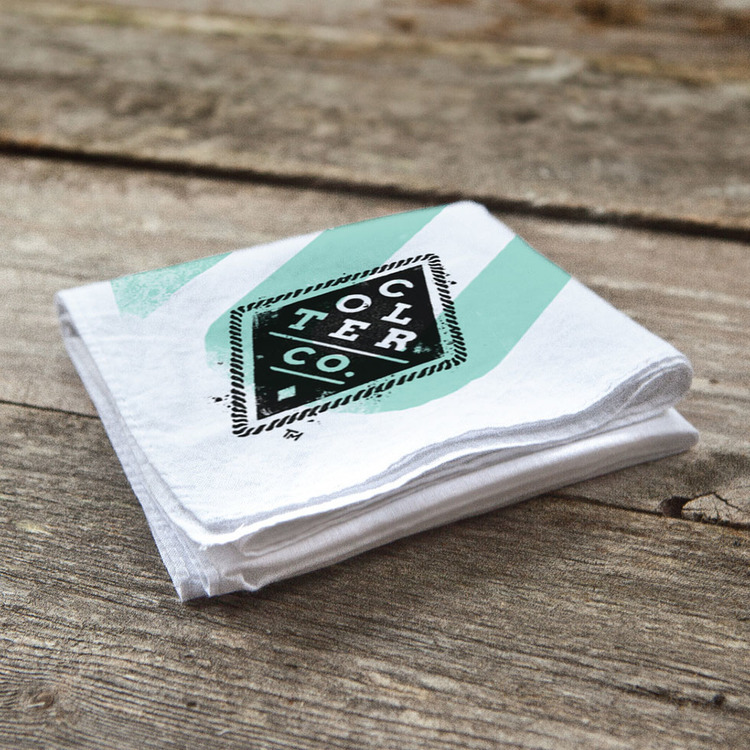 The bandana sells online for $28 with free shipping.